PT Perkebunan Nusantara XII - PTPN 12 is a reputable plantation and agribusiness company in Indonesia, based in Surabaya East Java. PTPN 12 is a subsidiary company of state-owned plantation holding PT Perkebunan Nusantara III (Persero) or PTPN 3 Group. 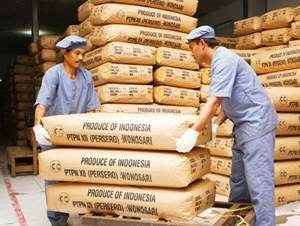 According to PTPN 12's company profile as cited by JobsCDC.com, PTPN 12 is 90% owned by PTPN 3 Group and 10% by the Government of Indonesia. PTPN 12 was established in 1996 as a merger results of 3 state plantation companies, namely ex PT Perkebunan XXIII (Persero), PT Perkebunan XXVI (Persero) and PT Perkebunan XXIX (Persero). As at December 2012, PTPN 12 supported by subsidiary and associate companies, namely PT Rolas Nusantara Mandiri, PT Rolas Nusantara Medika, PT Alam Lestari Nusantara, PT Kharisma Pemasaran Bersama Nusantara, Indoham Hamburg (Investments), and PT Riset Perkebunan Nusantara. Maximum age of 24 years old (single/not married). Backgrund in Bachelor of Psychology (concentration in Industrial Psychology and Organizational). Minimum GPA of 2.75 (PTN) or 3.00 (PTS) with accreditation faculty "A". Familiar with test tools and its administration. Previous experience in the field of Human Resource Management. Willing to be placed at Surabaya. JobsCDC.com now available on android device. Download now on Google Play here. Please be aware of recruitment fraud. The entire stage of this selection process is free of charge. PT Perkebunan Nusantara XII - Recruitment PKWT Staff PTPN 3 Group January 2017 will never ask for fees or upfront payments for any purposes during the recruitment process such as transportation and accommodation.